All party packages are $25 per person and last about one hour. Upgrades are available on some packages. Minimum of 6 participants required. Additional fees apply for locations outside our 45 minute radius. If you love bath bombs, then this party is for you! 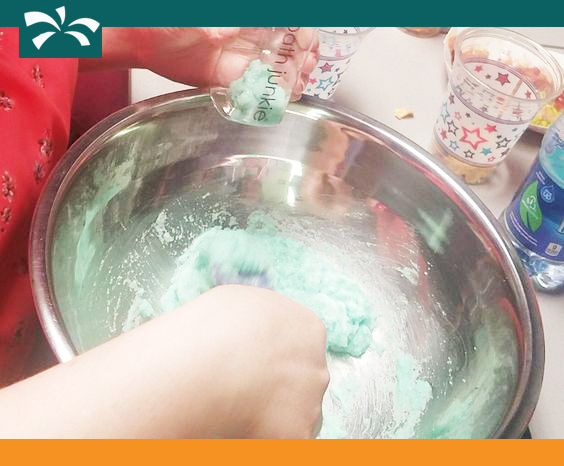 Each participant will make 10 half bath bombs total. 5 in one scent and 5 in another. The host chooses 18 scents ahead of time that will be used during this event. Event time averages 60 minutes, at a cost of $25 per person. 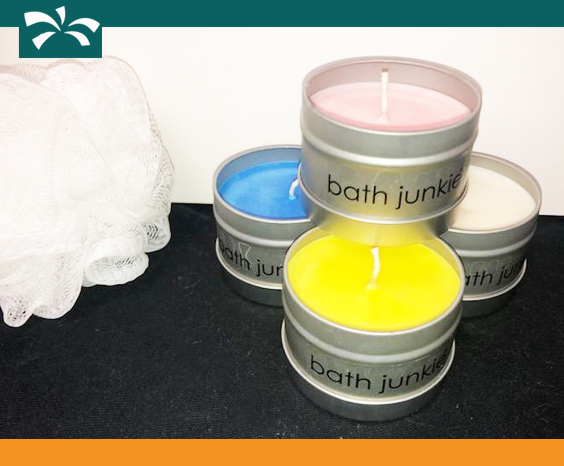 If bath and body products are your thing, you’ll love this customizable party package! 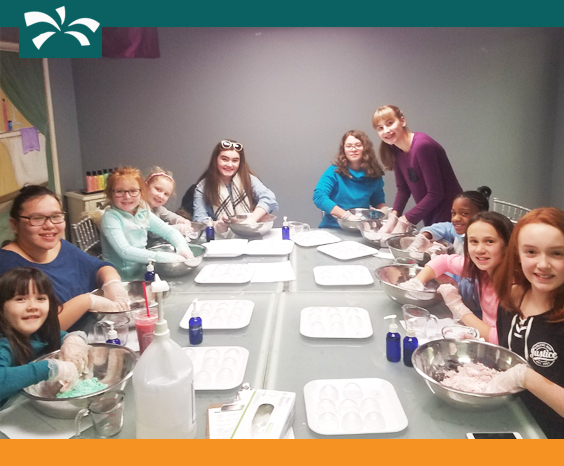 Each participant will make an 8 ounce salt scrub and then choose either a lotion, body mist, shower gel or face scrub as their second product. The host of the party pre-selects 18 scents to be used during the event. Event time averages 60 minutes based on the number of attendees. Upgrade available to a 12-ounce salt scrub for only $5 additional making it a $30 per person cost. This is a great party for the bath and body product lovers! Each participant will custom create 4 products: a salt scrub, 2 oz lotion, 2 oz body mist with sparkles, and a 2 oz hand sanitizer. In addition, they will decorate a craft to go along with their products. The host will select 18 scents to utilize during the event. The party time averages around 60 minutes at $25 per participant. If you’re a shower person then you’ll love this party! Shower bombs are like bath bombs but for the shower! Just place one in the corner of your shower and the steam activates it and leaves your shower smelling heavenly! At this party you will custom make 12 shower bombs, 6 in one scent and 6 in another. The party hosts get to select the 18 scents (from over 190) to use during the event. Event time averages 60 minutes based on the number of attendees, at $25 per person. If you’re addicted to lip balms then this party’s for you! 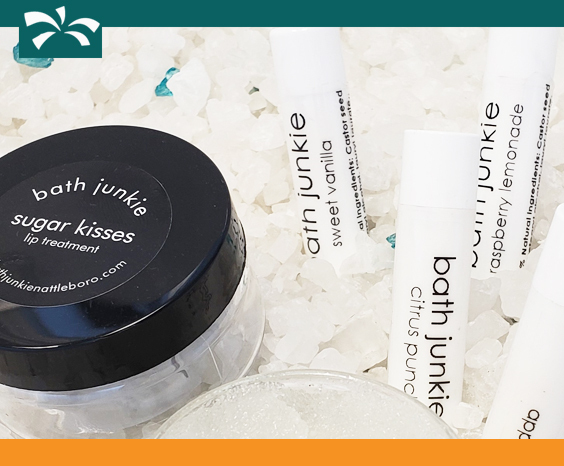 You’ll custom create 2 lip scrubs (perfect for getting rid of dry cracked lips) and 4 lip balms. There are lots of amazing flavors to choose from! Both products are 100% natural. Event time averages 60 minutes based on the number of attendees, at $25 per person. Custom create 4 different 4 oz soy wax candles in tin jars. 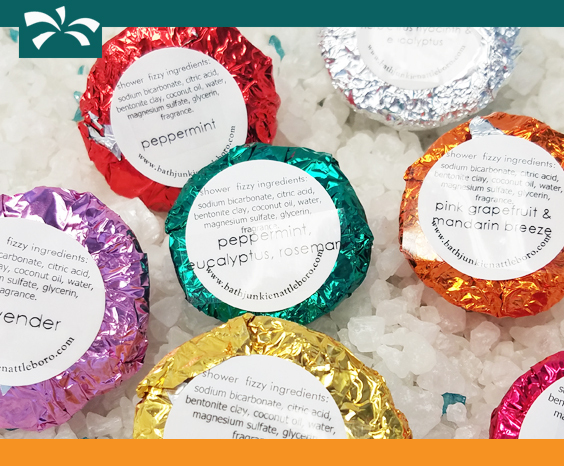 Design your own scent combination, choose a color and then you’re ready to create 4 amazing homemade candles, great for gift giving or to keep for yourself! 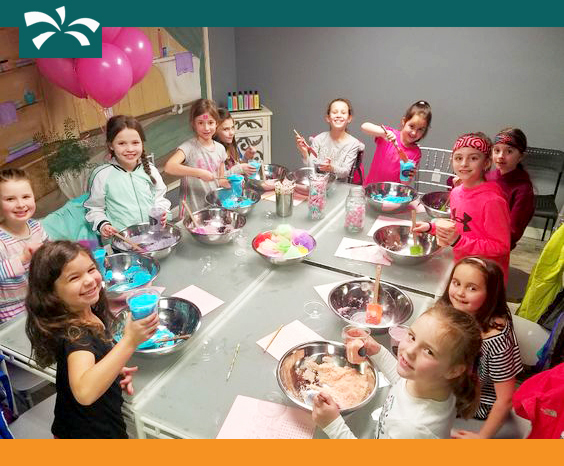 Upgrade to 6 candles for an additional $10 making the party package $35 per participant. Event time averages 60 minutes based on the number of attendees, at $25 per person.